Another one of those quickie Wantable giveaways. 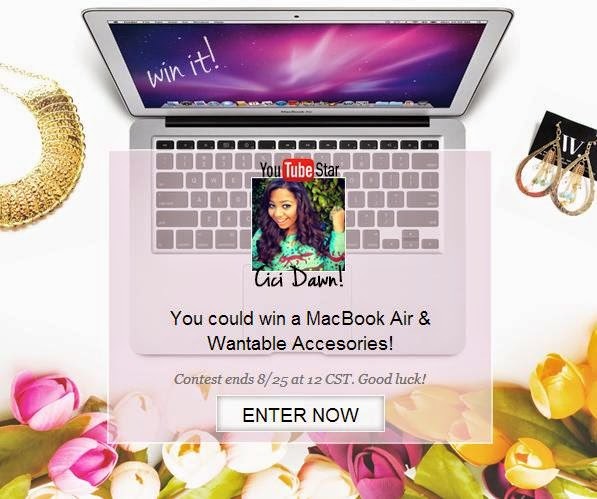 This time for a MacBookAir and some other products from Wantable thanks to CiCiDawn of ThatsSoCiCiYo! You have through 8/25 to enter to win. I am disabled and working off an 8yr. old desktop that is ready to go any day! Love to win so I can continue my writing.